​Two second-half headers and an injury time third from Karim Benzema handed Real Madrid a much needed 3-0 win over Athletic Bilbao that closed the gap from second placed Atletico Madrid to four points in La Liga. A largely uneventful opening to the match saw the hosts very eager to play down the flanks, bending crosses to the far post in what appeared to be a deliberate ploy imposed by Zinedine Zidane. 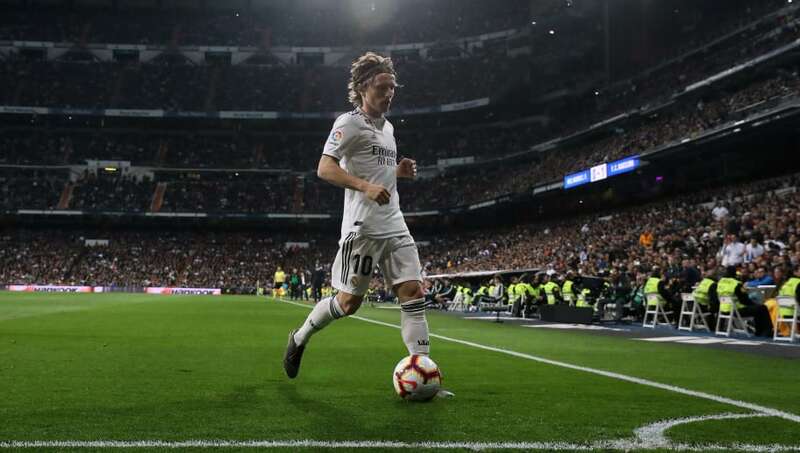 With nothing left to play for this season, the match failed to spark into any life and ​Madrid struggled to penetrate the Athletic defence, with plenty of free kicks bringing the home side no joy in a niggly first half that saw no less than 14 fouls. A brilliant late interception from Jesus Vallejo denied Athletic the opener, a tackle that prompted a swift Madrid counter attack resulting in ​Karim Benzema meeting Marco Asensio’s left wing cross to hand the home side the lead just two minutes after the restart. You could have been forgiven for thinking this match was a pre-season friendly. Madrid showed intent, however, all of it seemed to come in third gear, with little to show for considering having the lion’s share of possession. Many questioned the return of Zidane to the manager’s role, but he can surely only be judged after a summer of investment that is so desperately needed at the Santiago Bernabeu. 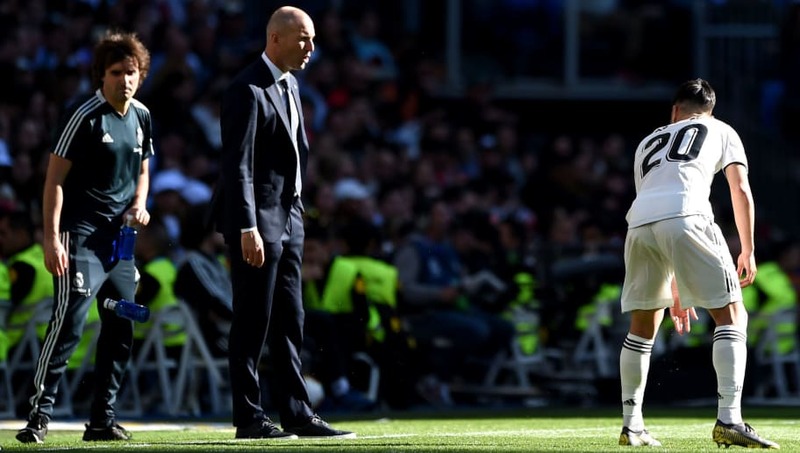 With Los Blancos having nothing left to play for this season, motivating a team that is as weak as the one he is in charge of now will be difficult, something painstakingly evident during a dour first half. The Frenchman must have really got at his side during the break, as Benzema headed home just two minutes after the restart, in what seemed a far more interested and energised Madrid side. 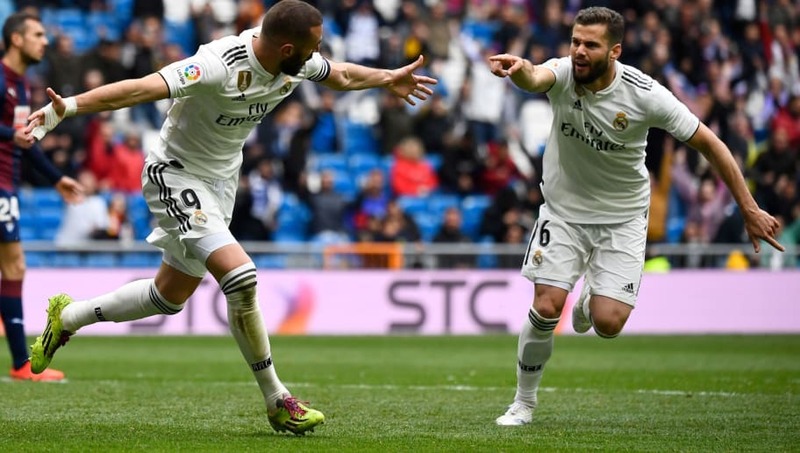 Benzema wrapped the points up with a well deserved hat trick in a match where Madrid were rarely tested, handing Zidane a morale-boosting win in a season to forget for Los Blancos. Looking at the Madrid side on paper, you would struggle to find real quality, something almost unheard of considering Los Blancos sides of years gone by. ​Raphael Varane and Modric spring to mind, but Benzema is a player who continues to find the back of the net in a mediocre team. He pressed and ran in a forgettable first half, and when presented with a meaningful opportunity made it count straight after the restart – before sealing the deal with 15 minutes left and adding the gloss in extra time. The manager’s faith in his countryman has been rewarded in recent weeks, and the 31-year-old is almost single-handedly dragging his team through the mire at the moment. Real Madrid travel to Getafe on Thursday evening as they take on the division’s surprise package at the Coliseum Alfonso Pérez. Meanwhile, Athletic Bilbao are on the road once again as they travel to Madrid-based Leganes to take on the mid-table side at the Estadio Municipal de Butarque. ​Eintracht Frankfurt will insist young Real Madrid forward Pedro Ruiz joins them on loan as part of a deal that would see in-form striker Luka Jovic join the Spanish giants. Real are close to securing the signature of the Serbian hitman, who has fired in 25 goals in all competitions this campaign. His departure would leave a sizeable hole in the Eagles’ frontline, with the Germans eyeing Ruiz as an ideal replacement for the talismanic Jovic. The young Spaniard has scored 21 times for the club’s Under-19’s this year and is considered to be one of the brightest prospects in the academy setup. ​AS report that Frankfurt are pushing to bring Ruiz in on loan for the upcoming season, though they are also open to a permanent deal that includes a buy-back option for ​Los Blancos, since the latter would be unwilling to let one of their most talented youth products go without a clear avenue for bringing him back to the club. At over 6’4″, Ruiz is excellent at holding up the ball and bringing teammates into play, whilst also possessing a surprisingly deft touch. Those characteristics make him well suited to the ​Bundesliga and Frankfurt would be a worthy destination. Adi Hütter’s side are renowned for developing young, talented footballers, providing an environment that encourages them to freely express themselves. Moreover, they have a solid infrastructure and do not come under the intense scrutiny that is regularly placed upon the European elite. With that being the case, the ​Champions League holders would benefit from allowing Ruiz to make a temporary switch, especially if it increases the likelihood of Jovic’s transfer being wrapped up. It would not be the first time such a deal has been struck between the ​La Liga club and Frankfurt, with Jesus Vallejo making a similar move for the 2016/17 season. Real were impressed by his progress in Germany, further improving the strong relationship between the sides. ​Tottenham are growing ‘increasingly confident’ that Christian Eriksen will sign a new deal at the club, with Real Madrid heavily linked to a summer move for the playmaker. The Dane has been subject to heavy transfer rumours this season, with ongoing contract talk with Spurs having gone on for over a year, and concerns being raised that a solution wouldn’t be found. It seems now that those fears can be put to one side with ​​Goal​ claiming that ​Tottenham are ‘increasingly confident’ that the 27-year-old will put pen to paper on a new deal with Mauricio Pochettino’s side, putting an end to ​Madrid‘s interest. Spurs are willing to offer ​Eriksen improved wages to keep him at the club, doubling his current £75k per week salary and putting him on par with teammate Dele Alli. The England international signed a new six-year-deal in October and having his midfielder partner on level terms is thought to be enough to convince the player to put pen to paper. ​However, securing ​Champions League football next season is deemed pivotal, something that is not yet assured with the club in a ​Premier League top four battle after losing to Manchester City on Saturday. Eriksen has had another memorable season in north London, scoring six goals in the league and sitting joint top of the assists charts with 12 so far. Furthermore, the Danish international has netted twice in the Champions League for Spurs as they now face a semi-final tie against his former club Ajax. Next for Pochettino’s side is a home match against relegation threatened Brighton at the Tottenham Hotspur Stadium on Tuesday as they look to bounce back from their defeat at the Etihad. ​Real Madrid have reached an agreement with German manufacturer adidas surrounding a new 12-year kit deal at the Santiago Bernabéu. ​European giants Real Madrid will look to capitalise on Tottenham’s financial struggles this summer by luring midfielder Christian Eriksen to the Santiago Bernabéu. ​Real Madrid have confirmed that full-back Alvaro Odriozola has been diagnosed with a fracture of the left clavicle, amid concerns that the injury will rule him out for the rest of the season. According to Spanish publication ​AS, Odriozola is expected to be out for the remainder of the season, after breaking his collarbone in a training ground accident involving teammate Vinicius Junior. Having joined Sociedad’s youth set-up as a ten-year-old, Odriozola made his first-team debut for the club in a 2-0 win away at Malaga in ​La Liga. After two seasons with the side, ​Madrid signed the full-back for a fee in the region of €30m last summer, and had enjoyed a fine debut campaign. ​Former Real Madrid manager Fabio Capello has given weight to the speculation surrounding the club’s ridiculous transfer budget for next season, claiming they have set aside an incredible €500m to spend on renovating the playing squad. In one of the more concrete updates we have seen on the situation, Capello confirmed via Sky Sports Italia (as quoted in ​The Mirror) that they will indeed be spending big. Capello’s word likely carries a lot of weight at Real. While not quite a legendary figure, he had two brief spells with the club in 1996-97 and 2006-07, winning ​La Liga on both occasions. If his word is to be believed, then, the pressing question is which players the budget will be spent on. The club have been linked with moves for Eden Hazard, Sadio Mane, Paul Pogba and a ​host of other players to the point that it is almost beyond parody. It’s also expected that their budget will be supplemented with the fees raised for outgoing players. ​Gareth Bale is widely expected to leave, while Toni Kroos and Raphael Varane are among a number of current first team stars who have been linked with moves away. ​Real Madrid welcome Athletic Bilbao to the Santiago Bernabeu on Sunday, knowing they could be trailing second placed Atletico Madrid by as many as seven points by kickoff. With the league title long gone, Madrid will want to finish as high as possible to end a disappointing season on a positive note – although Monday night’s draw against Leganes hasn’t helped their case. Fans are unhappy with the prospect at finishing behind both bitter rivals Atletico Madrid and Barcelona, but it will take a strong end to the season – with just six games remaining – to avoid the third spot on the podium. While Madrid haven’t got much but pride to play for, Gaizka Garitano’s men are chasing a Europa League spot, sitting three points behind sixth-placed Valencia and six from an unlikely Champions League spot, currently occupied by Sevilla. Real have a handful of question marks coming into the weekend, with Thibaut Courtois still not fully fit and Vinicius Junior out since the beginning of March with a knee injury. Mariano has tendinitis and Sergio Ramos tweaked his hamstring in training, while ​Toni Kroos missed Madrid’s last game after suffering a bout of gastroenteritis. Courtois, Vinicius and ​Ramos stepped up their recoveries in individual training session this week, and have an outside chance of featuring on Sunday, but Kroos and Mariano are unlikely to make the matchday squad. Mikel Rico (ankle), Ibai Gomez (ankle) and Ander Capa (muscle) have been ruled out by Garitano. Real Madrid Navas; Carvajal, Varane, Nacho, Marcelo; Casemiro, Modric, Ceballos; Isco, ​Benzema, Asensio. Athletic Bilbao Herrerin; de Marcos, Martinez, Alvarez, Yuri; D. Garcia, San Jose; Susaeta, Muniain, R. Garcia; Williams. The last three matches between the sides have been draws, ​Isco the hero (for a given value of ‘hero’) when they last met in September, snatching a point for Los Blancos after Iker Muniain put Bilbao ahead. Los Leones haven’t beaten Real since March 2015 though, and are without a win at the Bernabeu in 14 years. There have been nine draws between the teams, ​Madrid have won 34 and Bilbao have triumphed on 12 occasions. Since being humbled by Barcelona and humiliated by Ajax, Madrid ​have won four out of six games. The draw in their last match, against Leganes, was their first in the ​league since January, while defeat to Valencia was Zidane’s only loss since his surprise return to the Bernabeu. Despite an upturn in form, Madrid have only kept one clean sheet since Zidane returned – while the visitors are on a great run at the moment, winning four out of the last five games as they push for the final Europa League spot. Recent losses to Getafe and Valencia, the two other sides in the hunt for a place in Europe’s second most prestigious competition, could prove damaging but there are still 18 points up for grabs. Here’s how each side has fared in their last five matches. Madrid are capable of beating anyone on their day, but those days have been few and far between this season. Athletic’s recent consistency does hint that, despite their poor record at the Bernabeu in the last decade, they could grab something on Sunday. Prediction: Real Madrid 3-2 Athletic Bilbao. We’re at the semi final stage of the Champions League, and neither Zinedine Zidane or Cristiano Ronaldo are anywhere to be seen. Come again? It does really feel like the start of something new, as Real Madrid’s vice grip on the trophy comes to its merciful end. Gone, perhaps, are the days of the same rotation of four or five teams making the semi-finals, year after year after year. Since few of the tournament’s favourites have any hope of lifting the trophy, then, we thought we’d at least give them something to fight for. Who has been the most disappointing in the Champions League this season? ​After bloodying the nose of one of the tournament’s favourites​ in the first leg of their last-16 tie, securing a 2-0 victory over ​Juventus, Atletico built on an impressive group campaign, and made an statement about their intentions in European football this season. And then Ronaldo showed up in the second leg and sent them home in time for dinner. By no means a disastrous campaign, but the submissive manner in which they crashed out after an exciting start means they edge into the periphery of this list. ​It’s difficult to be too harsh on Dortmund, considering how they stormed their group with four wins and a single defeat. Especially since ​Tottenham – who knocked them out in the round of 16 – have just made the semi-finals. In truth, however, we expected a little more from the side who won the Bundesliga before Christmas, but now sit in second place. ​It looked as if Spurs had drawn a very difficult tie at first, but they made such short work of the esteemed Germans over two legs that they may as well have been playing Huddersfield. A 3-0 win at Wembley in the first leg preceded a 1-0 victory courtesy of a Harry Kane strike at Westfalenstadion, and now they look to have chucked the Bundesliga, it looks set to be a disappointing season all round for Lucien Favre’s men. Well, sort of. Few expected Napoli to go the distance in the Champions League this season, especially after landing in the group of death with Liverpool and Paris Saint-German, but given how impressive they’ve been domestically under Carlo Ancelotti, you can’t help but be slightly underwhelmed by their showing. Many will point to their narrow defeat at Anfield – which in itself wasn’t a horrific result considering Liverpool’s home form of late – as the reason behind their demise, but all in, they only managed to win two of their six matches (one of which at home to Red Star Belgrade) and bowed out in third place. Yes, Arkadiusz Milik could have sent them through at the death against the Reds, but he was bested by the human door that is Alisson Becker, and he didn’t. What’s more, they look in perilous danger of meeting a similar fate against Arsenal in the Europa League quarter-finals on Thursday. It’s worth noting that ​Bayern, by all means, actually had a pretty good Champions League campaign before coming up against Liverpool in the round of 16. They went undefeated in the group stage, and after a 0-0 draw at Anfield came amid the beginning of their domestic revival, the suggestion was that there could be life in the old dog(s) yet. It wasn’t to be, however. Coming up against their old foe in Jurgen Klopp and his formidable Liverpool side, they fell some way short in Bavaria, losing 3-1, and it became abundantly clear that some regeneration is needed if they are to return to European glory. To that end, they’ve already started. Benjamin Pavard and Lucas Hernandez have already signed, and are expected to be the first of many new arrivals for FC Hollywood over the coming months. ​It speaks volumes about how poor a season it has been all-round for Real Madrid that the winners of the last three Champions Leagues crashed out in the last 16, and still haven’t been anywhere near the biggest disappointment. By their own high standards, their defeat to Ajax was catastrophic. To the rest of us who live in the real world, it was surprising, but it had been coming, given how far they had fallen since Zidane’s summer departure. Still, they were very disappointing, and deserved no better than they got. ​Even with Spurs winning 1-0 from the first leg, no-one really expected City to go out. Not with 90 minutes still to play at the Etihad. ​And when Raheem Sterling struck on four minutes of the second leg, it seemed like order would be restored, and Pep Guardiola’s team of genetically perfect robots would bulldoze their way to their 500th win of the season. The tide would go on to change a further three times before Spurs eventually lost 4-3 and advanced on away goals, but for City, the end result was the same; disappointment in Europe at the hands of an English side. It was an especially tough one to take for Guardiola’s side, because it was supposed to be the year in which they pressed on and realised their European ambitions after two record-breaking domestic seasons, but it wasn’t to be, as they fell short on the big stage again. ​The peculiar case of PSG consistently failing in the Champions League despite spending more money than anyone else rolls onto yet another season. We’re not angry, we’re just disappointed. They seem to be terrified of progress past the round of 16. Two years ago they chucked a four goal lead from the first leg against Barcelona, last year they were bodied by Real Madrid, and this​ time around they lost 3-1 at home after a 2-0 victory at Old Trafford to once again bow out at the first knockout stage. They’re embarrassingly poor at the first sign of pressure, and their predictable track record for bottling it is the only reason they’re not ranking first. Juventus spent north of £100m to land Cristiano ‘Mr. Champions League’ Ronaldo, in the summer, and couldn’t even make the semi-finals with a favourable couple of draws. No disrespect to Atletico Madrid or Ajax – they’re both tidy sides capable of beating anyone on their day – but a team with Juve’s aspirations, pedigree and personnel should be able to negotiate that run to the last four. They were bailed out by Ronaldo in the last 16, as he scored a hat trick in the second leg to overcome a 2-0 deficit, and despite him netting a further two against Ajax over both legs, they find themselves out of the competition. Realistically, what more do they need before they actually begin to show it on the big stage? Is Aaron Ramsey the catalyst to take them to the next level? He’s good, but we doubt it.